Tonight is Kat and Andre’s turn at their MKR redemption instant restaurant. Last time, they used store bought bread, they are determined to wow the judges this time and bake their own bread. 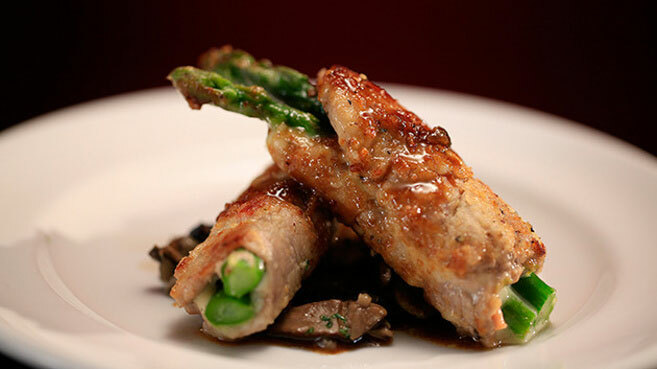 For entree, Kat and Andre mande a Veal Involtini recipe. Manu said the veal was tender and cooked well, the ingredients were put together well. Pete’s veal, however was a bit overcooked but it was still a good entree. 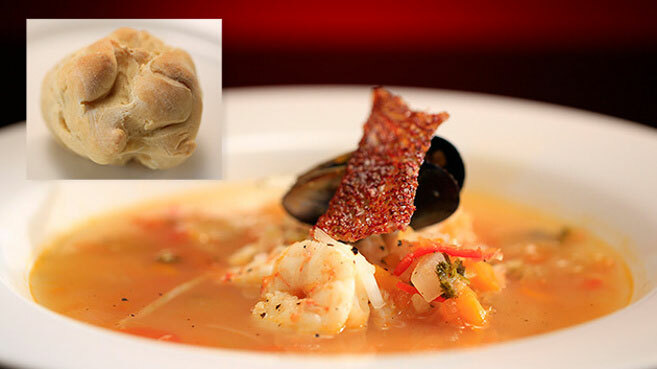 For Main, the team made Zuppa di Pesce with Homemade Bread. Andre wasn’t confident about the dough for the bread. When they were cooking the soup, they overcooked the squid, Andre decided to leave it out of the dish. Pete comments that the seafood was overcooked and the soup was just a simple watery broth. Manu was really disappointed in the bread, he asked why they even bothered to serve it as now he has to judge it. 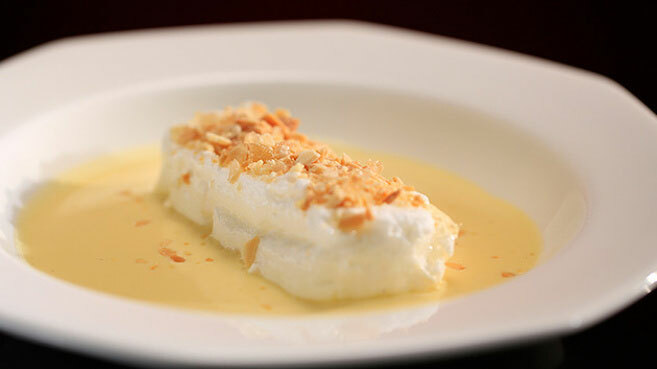 For dessert, Kat and Andre cooked an Ile Flottante recipe. Their dessert came out partially uncooked. The team had to scrape uncooked egg white off most of the dish. Manu said it was probably the first recipe he made when he was 15 years old. The creme anglaise was perfect. He said it was a brilliant dessert. Pete said he appreciated that it was done well.